A new image from the last week, NGC 281, I spend four nights imaging but the bad seeing and some thin upper clouds ruined majority of my frames. I managed to get enough exposures for two images, the Soul Nebula detail and this shot of Pac-Man Nebula. The open cluster IC 1590 can be seen at middle of the image. Image is taken at 21. 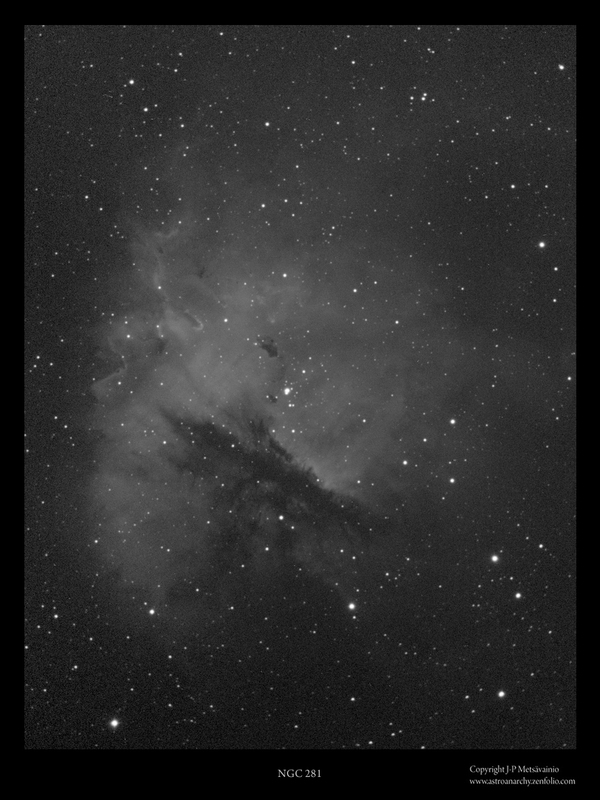 Jan. and there are 23x20min H-alpha light collected for it, color data is borrowed from my older image of the NGC 281. This is the third time for my tandem camera system, Star and natural color of the nebula are shot at the same time, as the closeup image, with the QHY8 color camera and the Baader UHCs-filter. 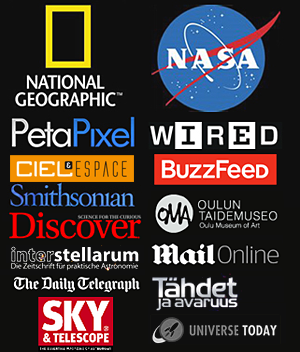 This filter delivers real colors for the stars, even though it's kind of narrowband filter. NGC 281 is an H II region in the constellation of Cassiopeia. It includes the open cluster IC 1590 and several Bok globules (dark doo-dads at center of the Blue area). 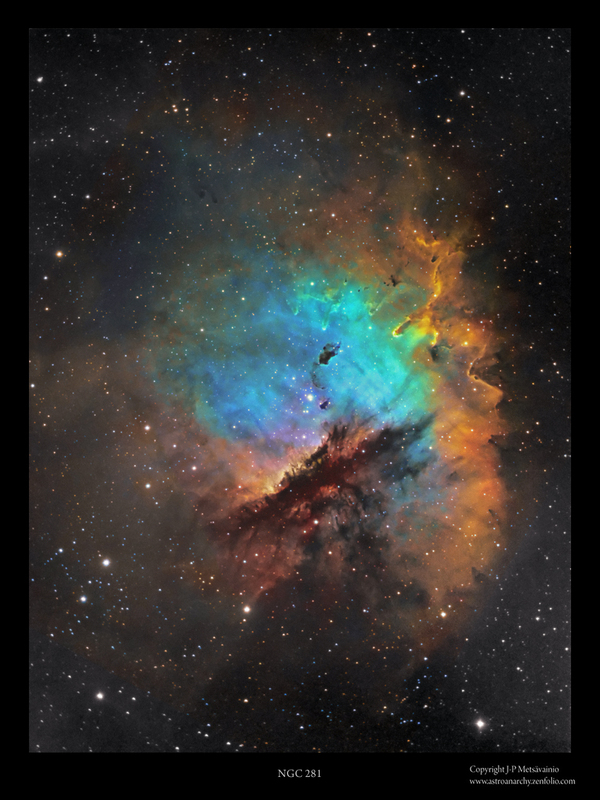 NGC 281 is also known as the Pac-Man Nebula for its resemblance to the video game character from early 80's. NGC281 spans over 80 light years at its estimated distance of 9500 light years. 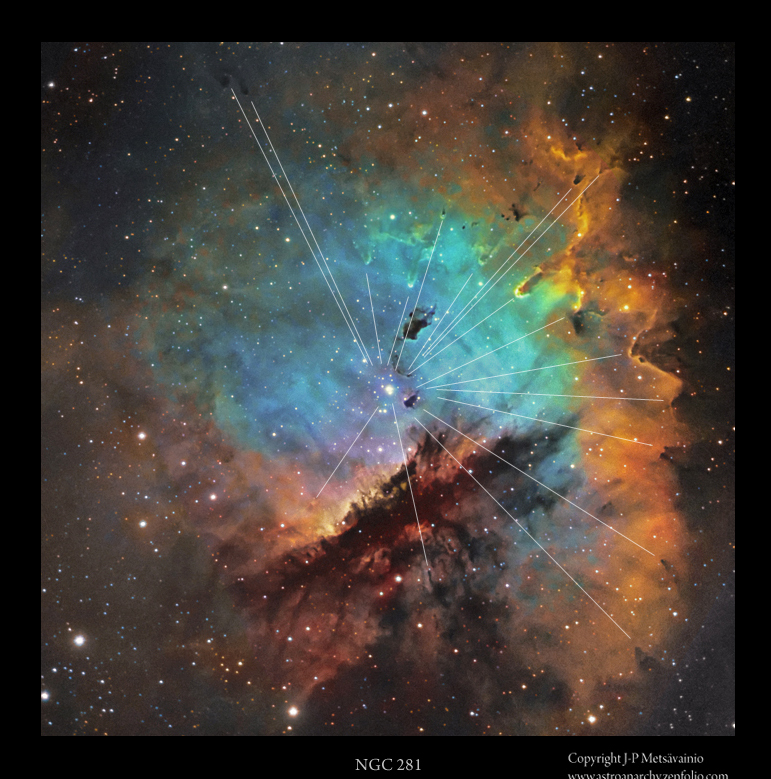 Lines in the image are showing, how the pillar-like formations are all pointing to the source of solar wind and ionization, the open cluster IC 1590, inside the Pack_man Nebula. There are some denser material at tip of the pillar like formations and it's able to resist the radiation pressure from the open cluster IC 1590, at the middle of the nebula. Typically those tips are future homes for newly born stars, as well as dark globules seen in the image. The same open cluster is coursing the ionization in Pac-Man Nebula by its radiation. each ionized element in the nebula emits light at the typical wave length. Color channels for a mapped-palette image, O-III and S-II, are from an older image of mine.